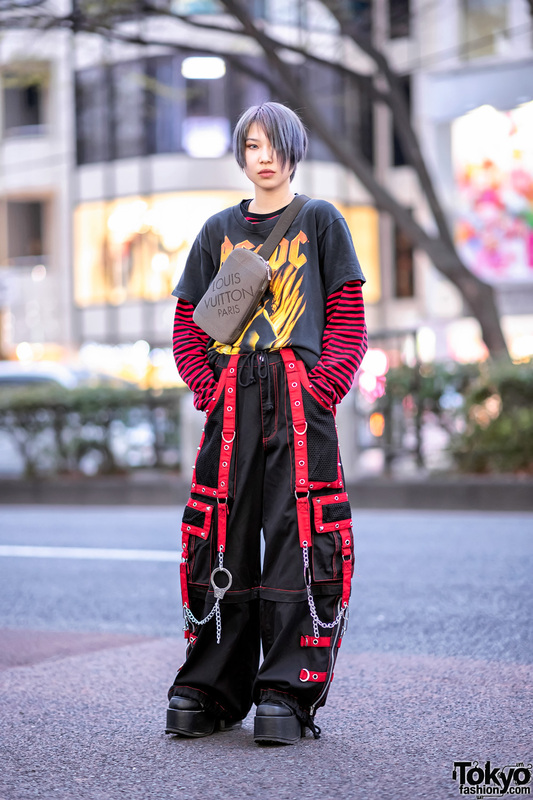 We met Nana, a 17-year-old student – wearing a fringed ombre hairstyle and floral print ensemble – on the street in Harajuku. 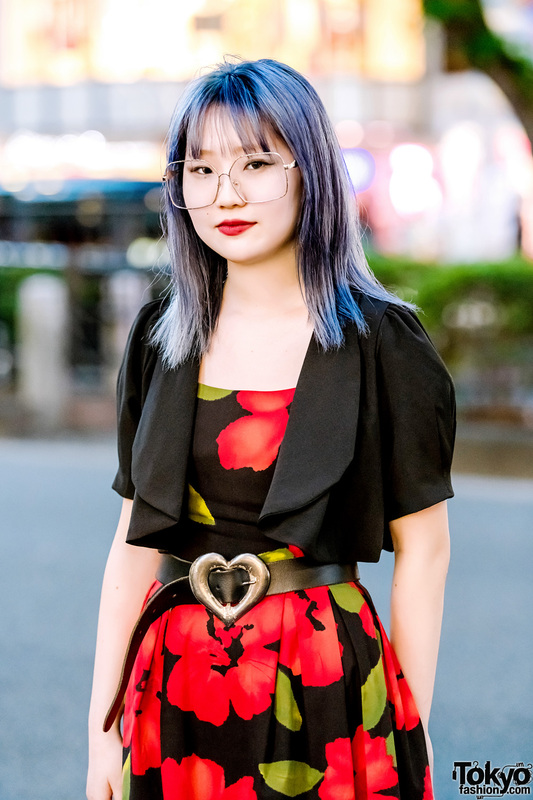 Nana is dressed in a vintage ensemble, which consists of a black-and-red floral print dress with a black mesh underskirt, and cinched at the waist with s silver heart buckle belt. She styled her dress with a black cropped bolero jacket with puff sleeves, and paired her ensemble with red open toe heels with boa feathers embellishments. In addition, Nana is wearing oversized eyeglasses and carrying a gold box handbag. 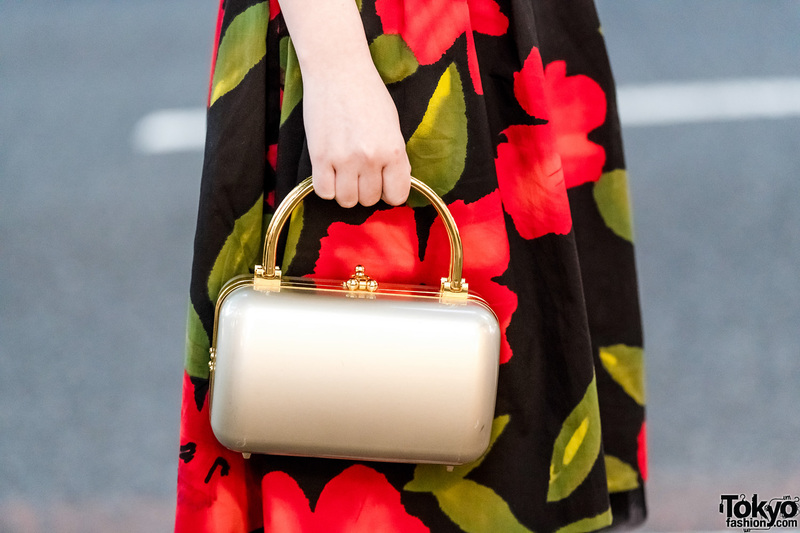 Nana mentions that she loves to shop at resale stores, and that she is active on both Twitter and Instagram.